König CSKMCU100BE Desktopset kopen? | That's IT! Keurige, betaalbare set van USB-toetsenbord en optische muis. Het toetsenbord is voorzien van een Belgisch/Franse AZERTY-indeling. 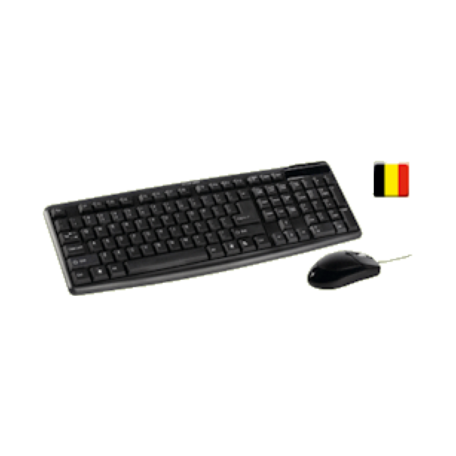 This keyboard and mouse set has a simple plug and play installation and can be used right away. The keyboard has clearly readable and responsive keys in 3-block standard keyboard layout. The mouse will work on almost any surface thanks to the 800 dpi sensor.